Special thanks to Vern Conner (left) and David Martin (right) for sending in this fantastic photo! Both served various positions on the FWRR during the mid to late 70's. Special thanks to William Eichhorn for this great photo! Walt Disney World is the last place you would think to find a abandoned railroad. Well guess what? There is! 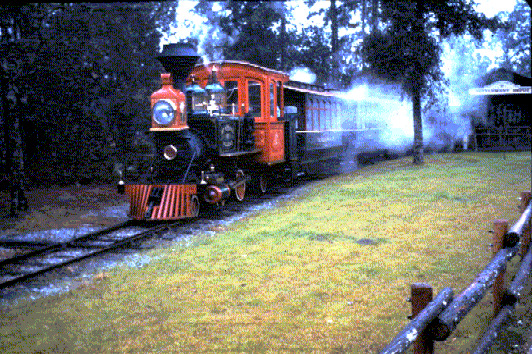 Today, few people know that Fort Wilderness Campground was once home to a narrow gauge steam railroad that transported passengers though out the campground. The Wilderness Line provided a fantastic 3 1/2 mile ride through fields, wilderness & over trestles. 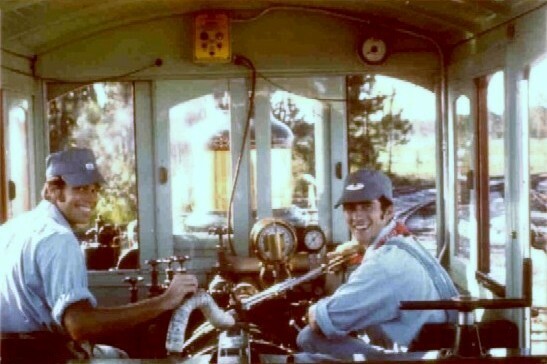 After a sequence of seemingly minor events, Disney let the Wilderness line operation come to a grinding halt somewhere around 1980 and slowly fade into history. I was luckly enough to ride the train as a child, and the memory of this remains with me today. 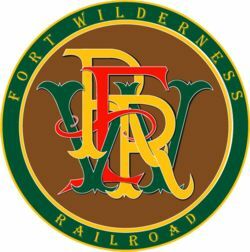 In creating this WEB page, I hope to recreate what I can of the Wilderness Line for people who want to remember and for people who are curious to see the trains as they once were. Please, feel free to Email me with any comments, suggestions, or memory you would like to share of the Wilderness Line. 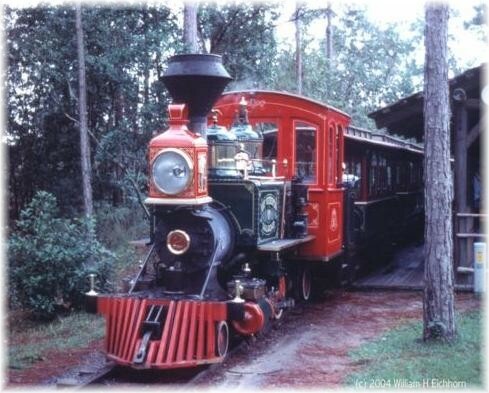 I'm always searching for pictures people may have taken of the Fort Wilderness Railroad as they are very rare, so if you have any you would like to share, please contact me! Special thanks to Michael Campbell & Michael Broggie for providing photos and information about the Wilderness Line. This WEB site is not affiliated with Disney Enterprises. WDW logo is a trade mark of Disney Enterprises.